A fork/expansion of the user script "Wikipedia 2 Wikiwand" <https://greasyfork.org/zh-TW/scripts/13400-wikipedia-2-wikiwand> to make the script applicable to most languages of Wikipedia (hopefully). 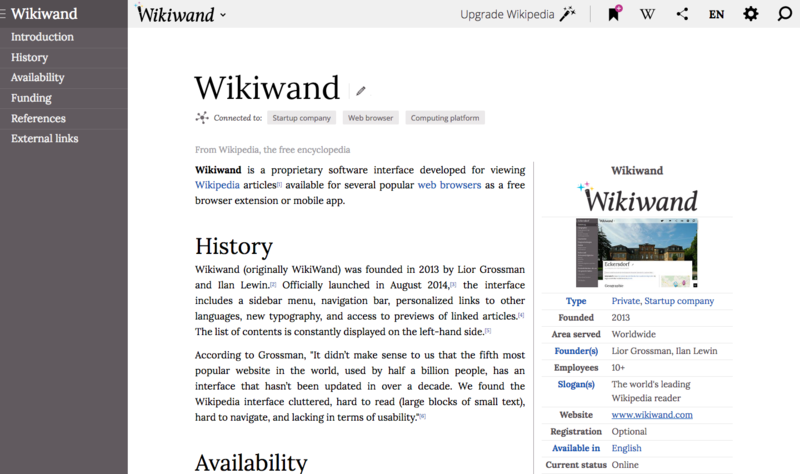 Trying to do the similar thing to official browser addon/extentions of Wikiwand, an elegant and nicer frontend of Wikipedia. User script "Wikipedia 2 Wikiwand (Global)"
I always had a bad feeling about the official Wikiwand addon for Firefox that it is dragging back the performance of the browser. Then I found Wikipedia 2 Wikiwand by drhouse which seems to be lightweight and efficient working with Greasemonkey. So here is a fork/expansion to make that script applicable to most languages of Wikipedia (hopefully). BitBucket repository available. Please raise your support request there.